**The winner to the last Activia giveaway was jacinth_amethyst. Congrats! Prior to taking the Activia Challenge, I did not really have any digestive issues that were bothering me. I try to eat pretty healthy overall so this helps me to feel my best. I have always eaten one yogurt per day but this challenge has had me eating two per day. I have enjoyed eating two yogurts per day. It helps me make sure that I am getting my daily dose of calcium in and also helps to meet my protein needs which I think that I am sometimes lacking in. Also, by having Activia yogurt for one of my snacks, this has been a healthier option than some of the other things that I could have such as cookies, ice cream or chips. Through the challenge, I mainly stuck with having the Greek varieties of Activia which are my favorite. They are thicker than the regular Activia and have more protein which helps to keep you fuller. I have been having an Activia Greek yogurt daily for breakfast and have enjoyed trying the different flavors. My favorite flavors are vanilla (with add-ins such as fruit, cereal and chia seeds), peach or strawberry. For people with digestive issues such as feeling uncomfortable, bloated, gassy, or rumbling, I know that this challenge has been helpful in helping to eliminate and manage some of these issues. Now that the challenge is over, I would still buy some of the Activia yogurts to keep on hand for a healthy breakfast or snack. Also, if you didn't try the challenge already, there is still time! The challenge promotion ends 11/30/14. Just go to your local grocery store, buy Activia, try them (two times per day for two weeks) and if it does not help your issues, you can get your money back. 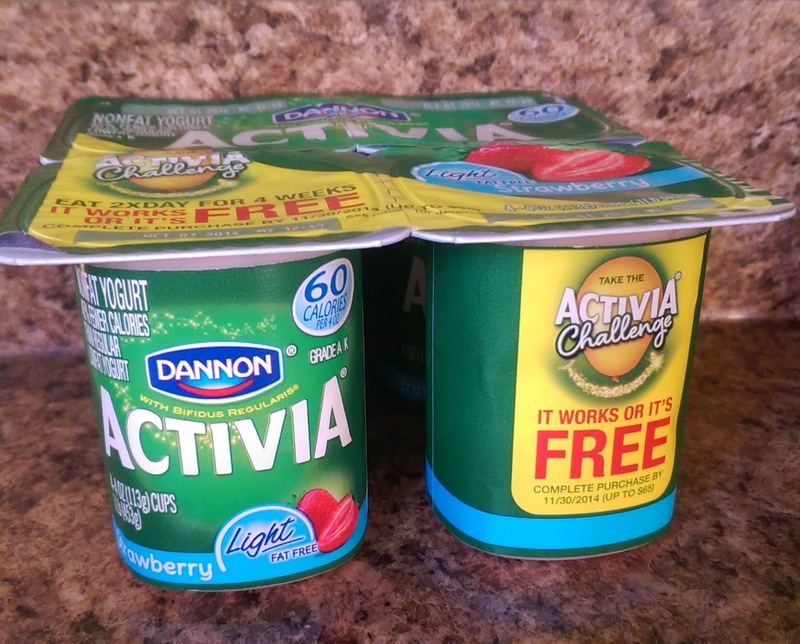 I enjoyed taking the Activia challenge and working with Activia.